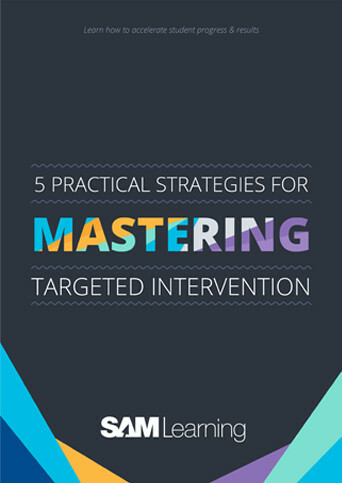 Learn 5 practical, proven and cost-effective strategies for mastering Targeted Intervention at your school! Having set the benchmark in progressive Targeted Intervention within UK secondary schools for the past few years, the SAM Learning team and I wanted to fuse and share our expertise with the real life secondary school experience of an outstanding current Head Teacher and their Senior Leadership Team (SLT). Together we’ve formulated a ‘snackable’ guide that will help you apply these strategies and techniques to your schools, quickly, and consistently, and ultimately accelerate the attainment and learning standards of the students within your school. To access the free guide simply complete the form below. Enjoy and thank you for reading!